September 16, the day when Founder Visionary Dr O P Bhalla left for his heavenly abode was a solemn day for the Manav Rachna family. The day began with a hawan which ushered in a sombre mood. Bhajans by students of Manav Rachna International School and singer Padamjeet Sehrawat added to the pious surroundings of the early morning peace at Dr O P Bhalla Memorial Sthal, fondly known as the ‘Prerna Sthal’ situated in the midst of the Manav Rachna campus. During his lifetime, Dr O P Bhalla initiated many activities for the upliftment of the society. 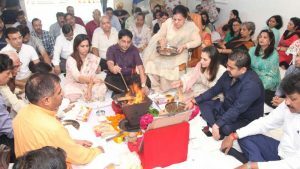 Following the footsteps of this great social reformer, Dr O P Bhalla Foundation along with the Bansal and the Dhal family initiated a PNG Cremation Facility at the Swarg Ashram, Ajronda Crematorium today. Smt. Satya Bhalla, Chief Patron, Manav Rachna Educational Institutions (MREI) dedicated this facility to the citizens of Faridabad in the presence of Cabinet Minister Sh. Vipul Goel. 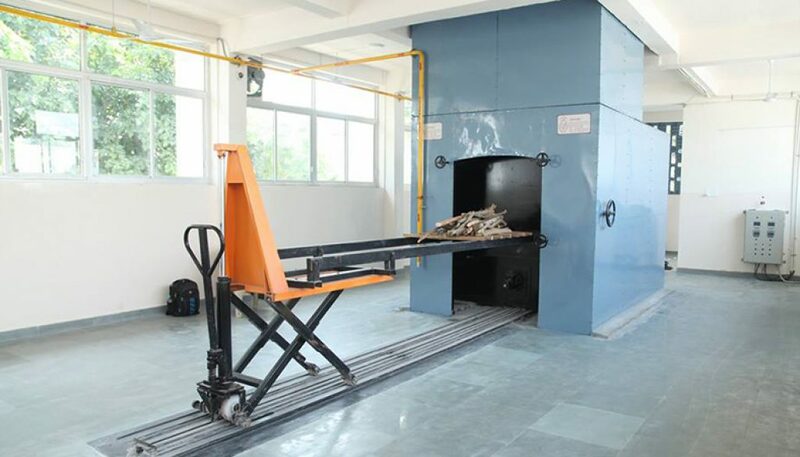 This is the first of its kind, pollution-free and cost-effective piped natural gas-based cremation system in the Faridabad city. 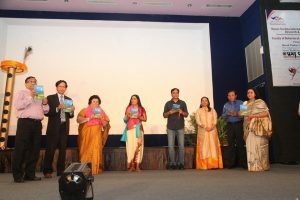 Also present on the occasion were Dr Prashant Bhalla, President, MREI; Dr Amit Bhalla, VP, MREI; Ms. Savita Dhal (wife of Late Sh. Suresh Chander Dhal); Mr. K C Lakhani; Mr. R K Bansal; Mr. Shammi Kapoor; Mr. Navdeep Chawla; Mr. Vinay Pratap, Deputy Commissioner, Gurgaon; senior dignitaries and eminent people of Faridabad. The dignitaries also planted a tree at the crematorium on this occasion. While inaugurating the facility, Sh. Vipul Goel appreciated the highly noble and environmentally conscious initiative. He encouraged the citizens of Faridabad to use the PNG cremation facility to save wood and reduce air pollution. Dr. Prashant Bhalla informed: “It is essential to create awareness about the ill effect of burning wood for cremating dead bodies and about its negative impact on the environment. Traditional funeral pyre requires around 400 Kg of firewood. I, therefore, urge everyone to use PNG cremation system – it is safe, hygienic, eco-friendly and cost-effective. All traditional rituals can be performed during the PNG cremation system”. State-of-the-art modern cameras have been installed at the crematorium. This will enable people living in foreign countries to watch the final rites of their near and dear ones online. Dr. O.P. Bhalla Foundation urges all ecologically conscious people to promote the PNG cremation facility. Legendary Cricketer Sh. 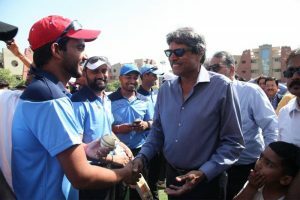 Kapil Dev inaugurated the final match of the 10th Manav Rachna Corporate Cricket Challenge Cup as cricket fever reached an all-time high!